When Bobby said in Episode 4 of The Shitshow: “a gift card is like two awesome gifts: 1) it’s the gift of something free and 2) it’s the gift of shopping”, it might have been the wisest thing to ever come out of his mouth. Going through all of our prizes and redeeming the gift cards and certificates has felt a little bit like winning the lottery, especially because all of the companies have been so awesome about sending our stuff to us quickly. On Wednesday I got my first COTH issue, which is 50% dangerous (ads. so many pretty ads.) and 50% awesome. 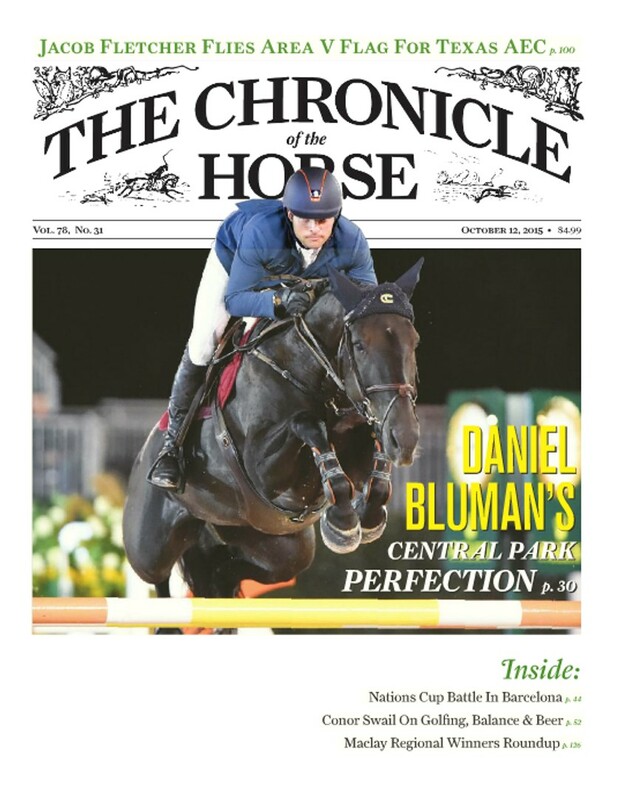 No way I’m escaping the next year without buying anything because of the Chronicle. 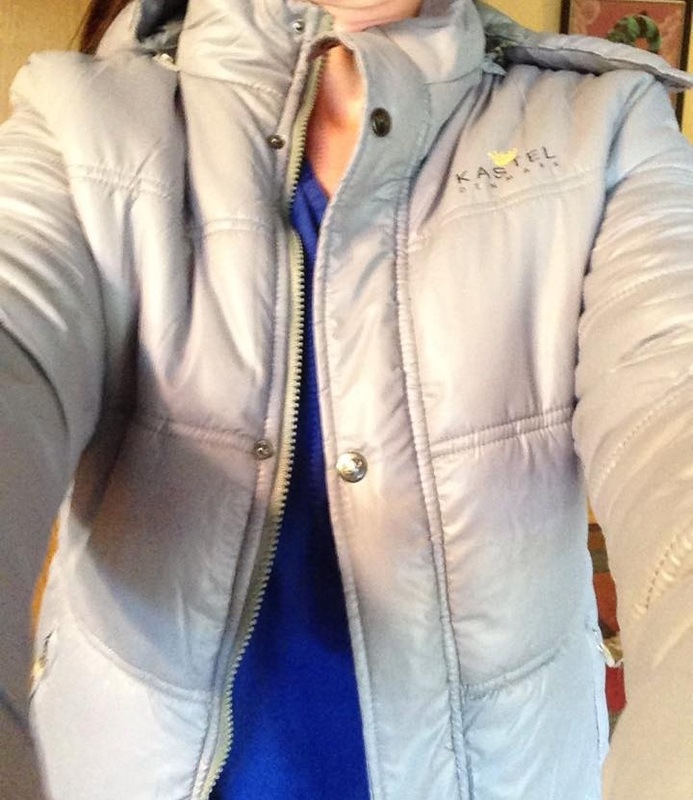 Then yesterday I got a package from Kastel – their hooded winter jacket, which fits perfectly. I almost can’t wait for cold weather to get here so I can wear it and review it. 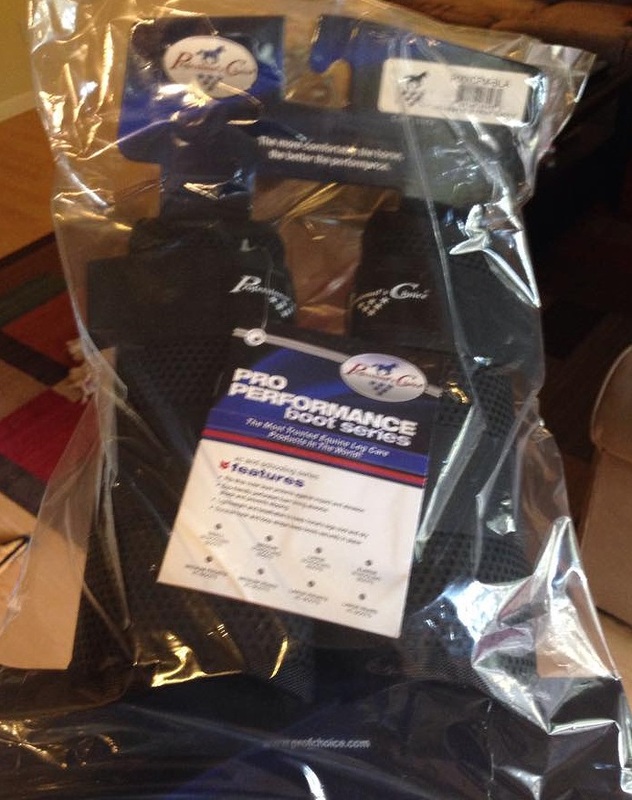 I also got my XC boots from Professional’s Choice, which look nice too. They’re basically identical to my Majyk Equipe boots, from what I can tell. Hidden at the bottom of the pile of packages was a big envelope from USEA. A little while back I put in my form to redeem our Silver Medal at BN, and the certificates and medal came! Pretty cool. 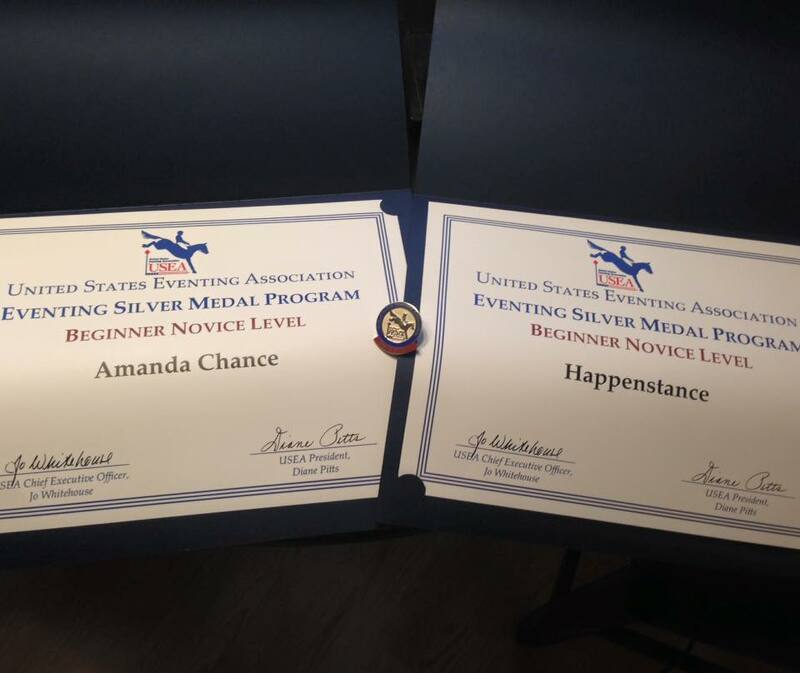 I really do love USEA and their awards programs. 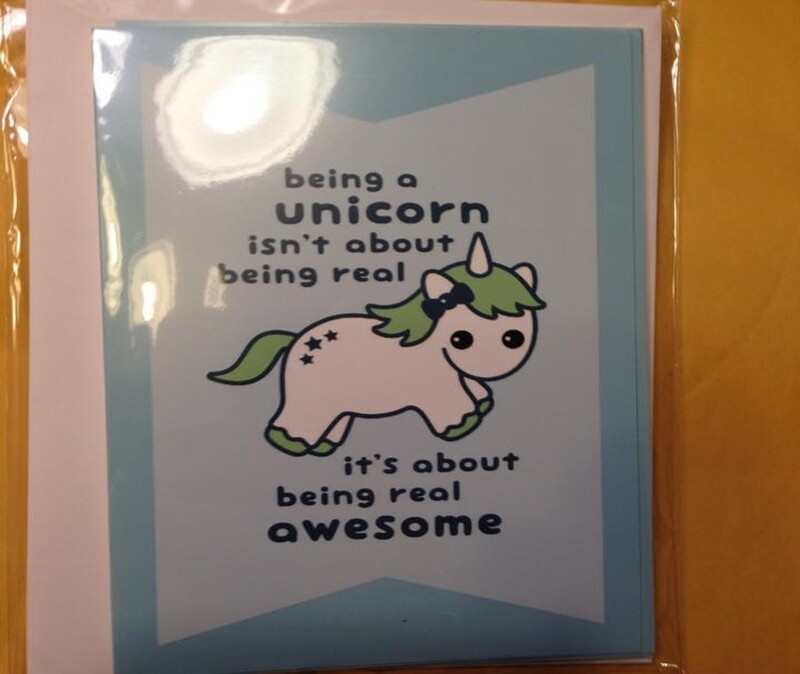 And last but not least, something that was not free but I’m pretty excited about anyway: thank you cards for all of the sponsors of Team Always be a Unicorn. Naturally they feature a unicorn. As for the weekend, we are off to Greenwood today to run their mini-Rolex-looking Novice course. We are the first horse to go on Saturday and second on Sunday. I’ll try to be awake enough to stay on my horse. I have a big glass jar that I stuff all our ribbons in. I like it because it keeps everything neat and tidy and it unobtrusively sits on a shelf where I can still see it. Congrats on all the medals! and good luck! I bought a couple of shadow boxes to keep all my ribbons. Being a former crossrail hunter champion, I have lots, so I just stuff them in there. But I’m sure you could do something artsy with the ribbon and I don’t know, glittery crop or something. Yay free stuff! Good luck and have fun this weekend! Ermagerddd that Kastel jacket. Hurry up Texas and get cold! You string those ribbons across the room little a little kid because RIBBONS!!!!! AMAZEBALLS RIBBONS!!! Ans medals totally go on the mantel. Or a shadowbox works. That’s cool too. free stuff is best stuff 😀 congrats on your medals and good luck this weekend!! My family gave me a bunch of Waterford crystal bowls and vases that I have zero real use for, so I fill them up with ribbons and stick them on bookshelves and desks around the house. For decoration … Or inspiration. Whatever. Congrats on all the loot! Can I ask what size you got in the jacket? I am considering one but cant find a size chart anywhere! I got a medium, same size I wear in their shirts. I’m a 35-36″ bust of that helps.